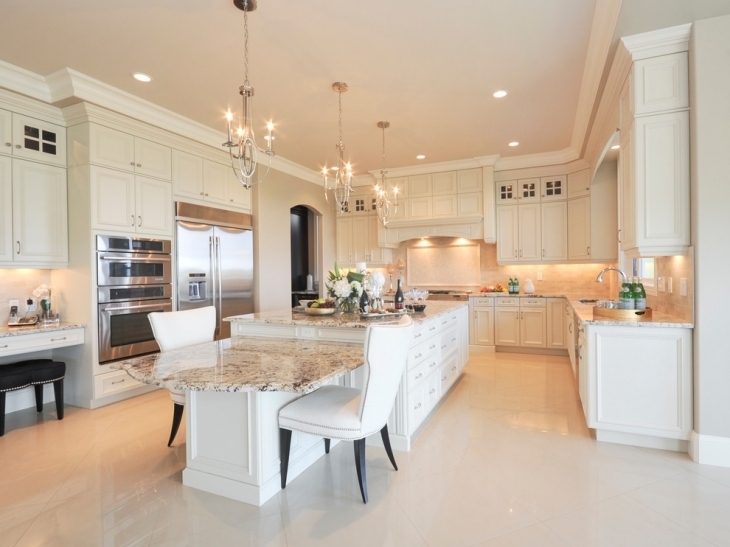 If you have a large kitchen with a purse to match, it would be unforgivable to design it for anything less than a luxurious ambience. 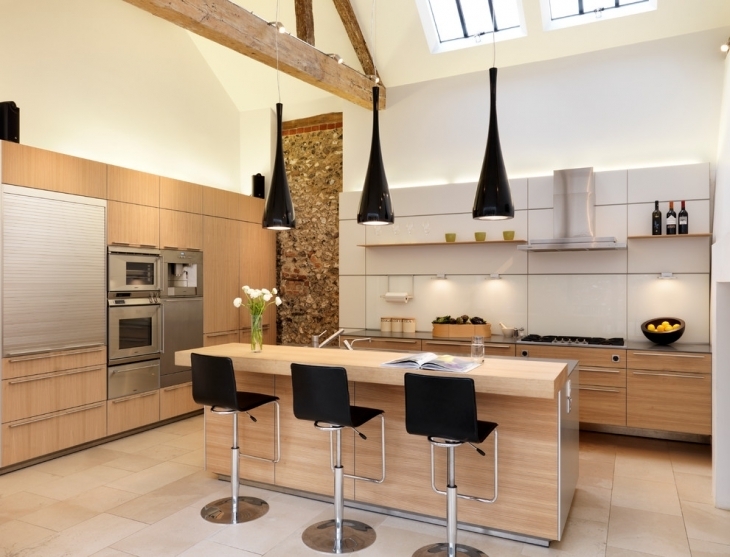 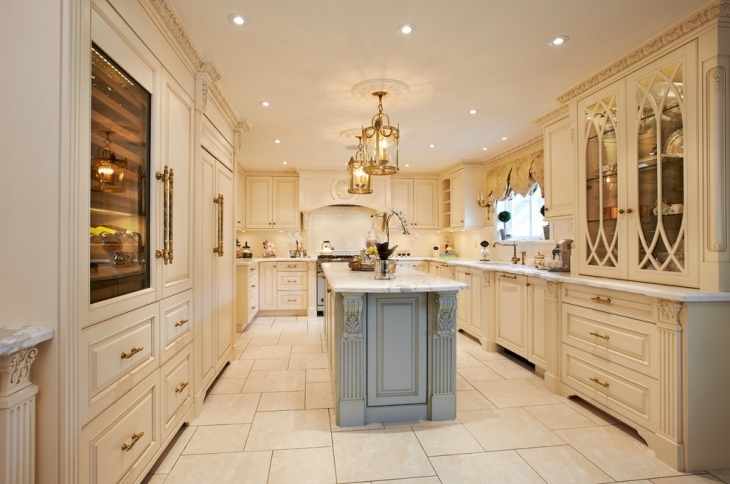 You can create a luxury kitchen in design category, be it modern Kitchen, traditional, country or even Art Deco. 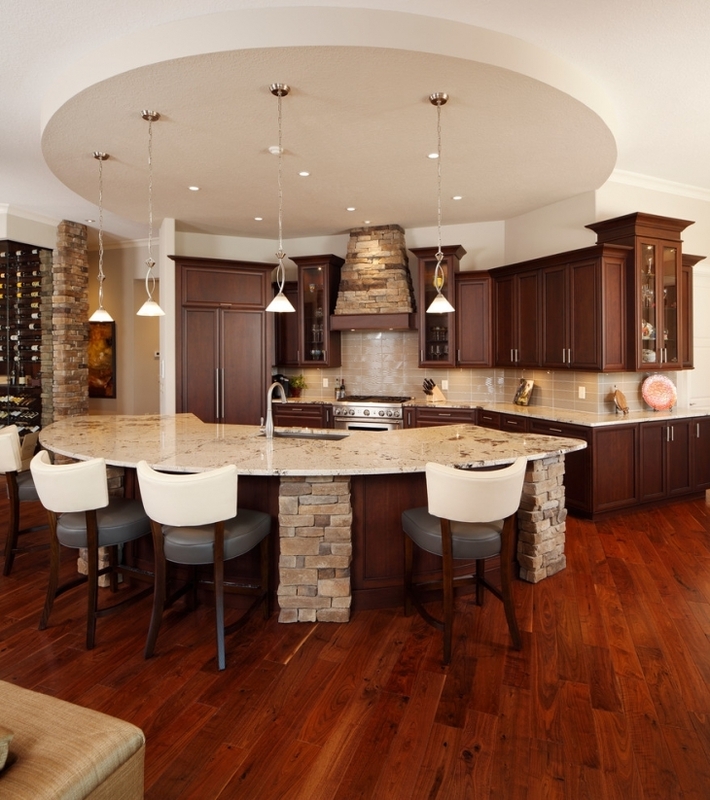 You can go all out with rich wood cabinetry, marble counters, tiled floors augmented with a plush rug. 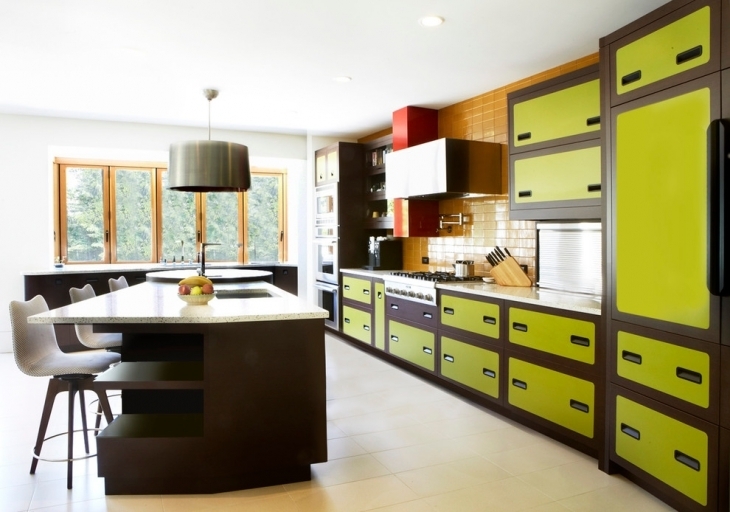 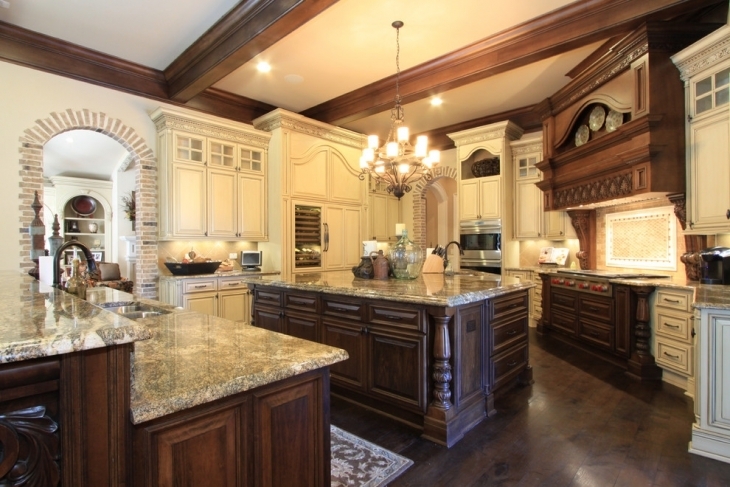 To be sure, a luxury kitchen does not have extra features, only more of them, with affluent designs. 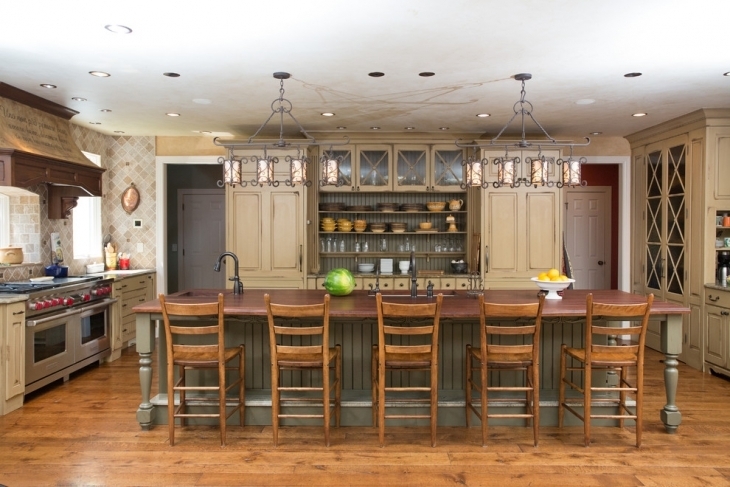 The kitchen island can be larger and more ornate with extra seating for frequent eat-ins; you could also have two islands: One dedicated to dining and one for storage and cooking tasks. 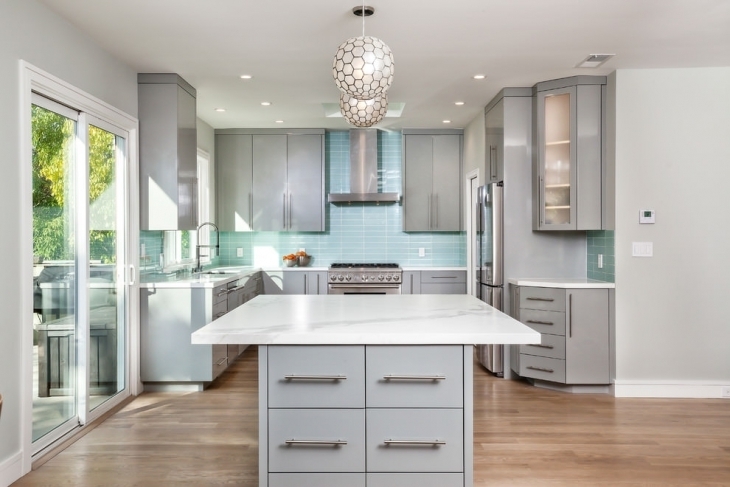 Even your cabinets may extend to the ceiling with glass-faced doors.You can create a luxury kitchen with stainless steel being the dominant theme if stark contemporary is your thing. 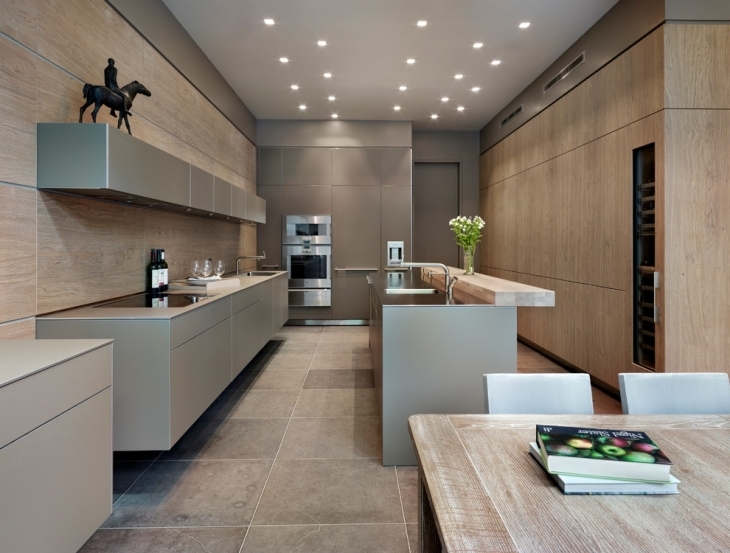 The fact that not many kitchens go this route may be just the reason for you to design in heavy metal. 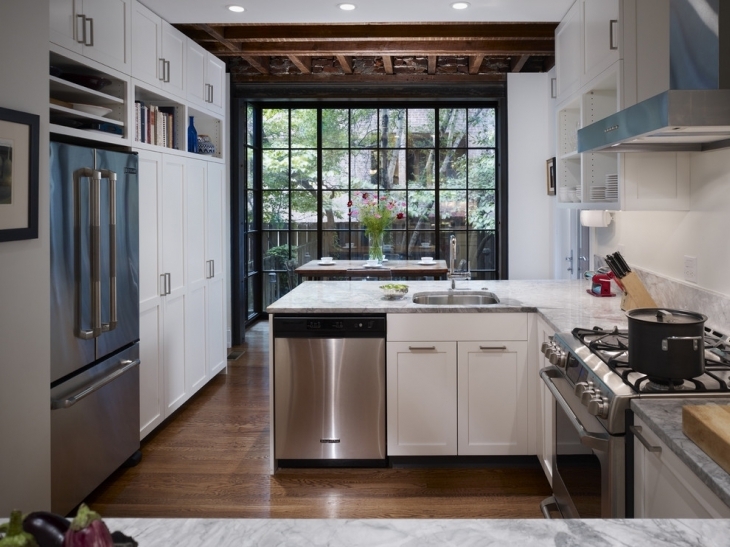 White walls, be they painted or stone, may be just the backdrop for this kind of kitchen. 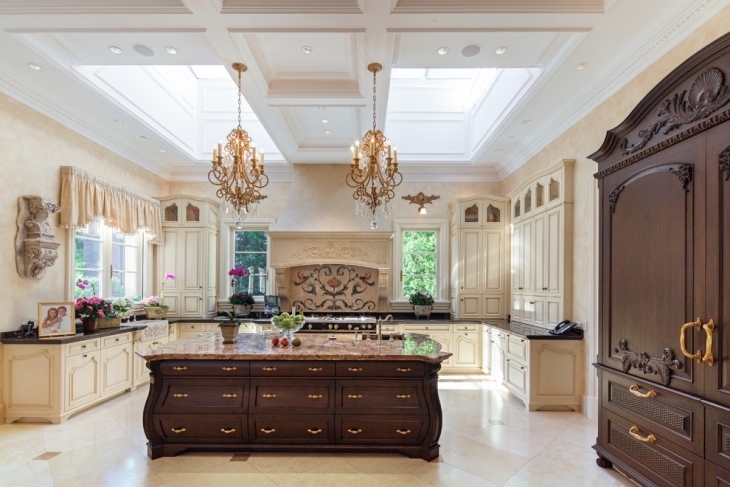 A luxury kitchen needs lighting to match. 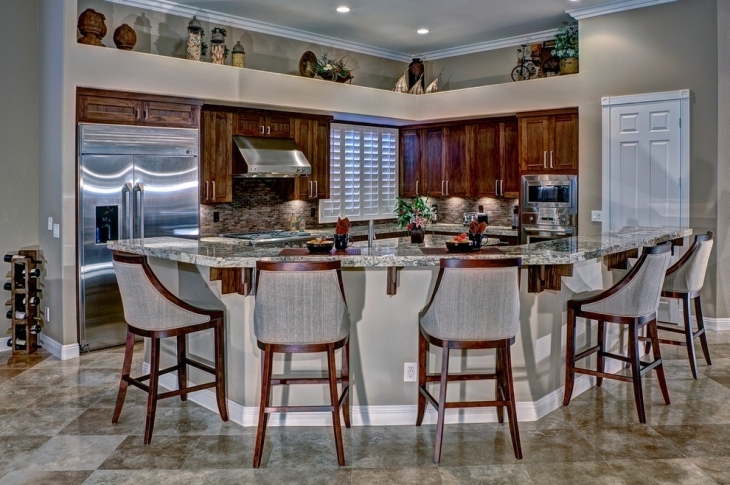 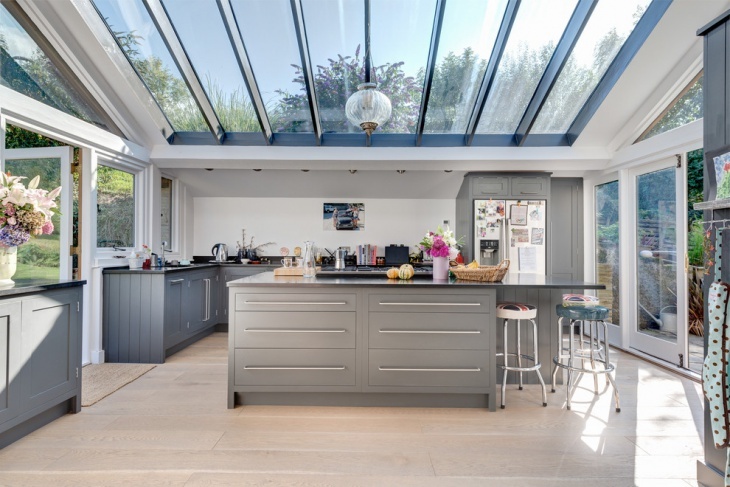 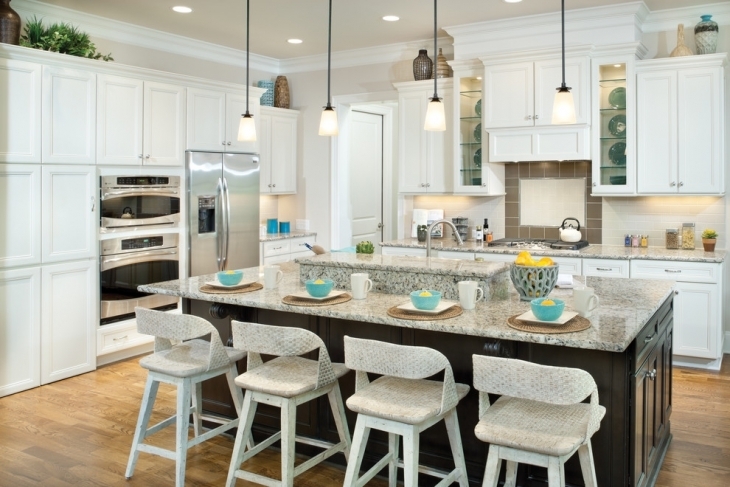 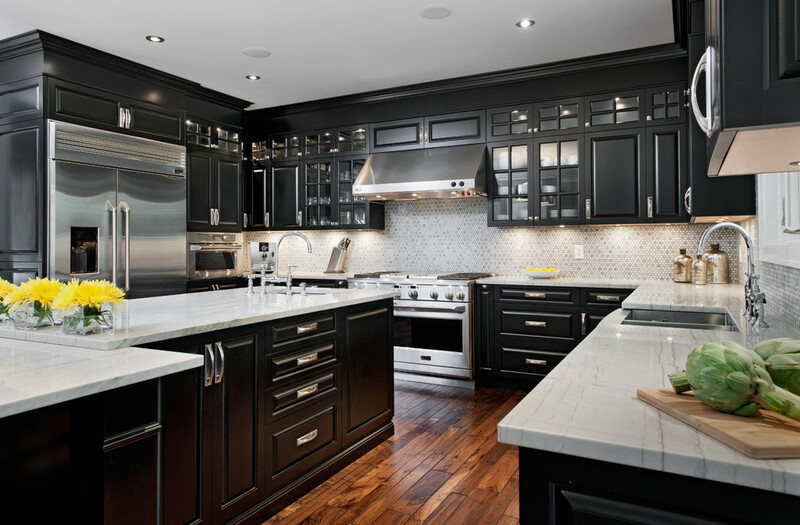 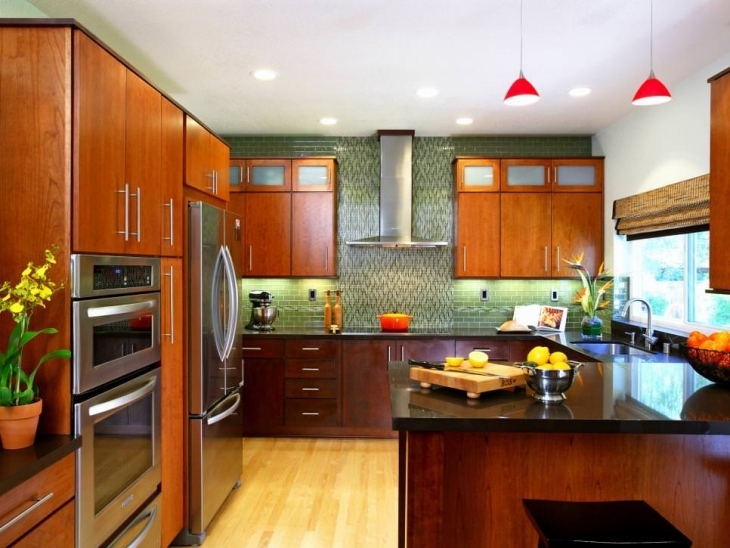 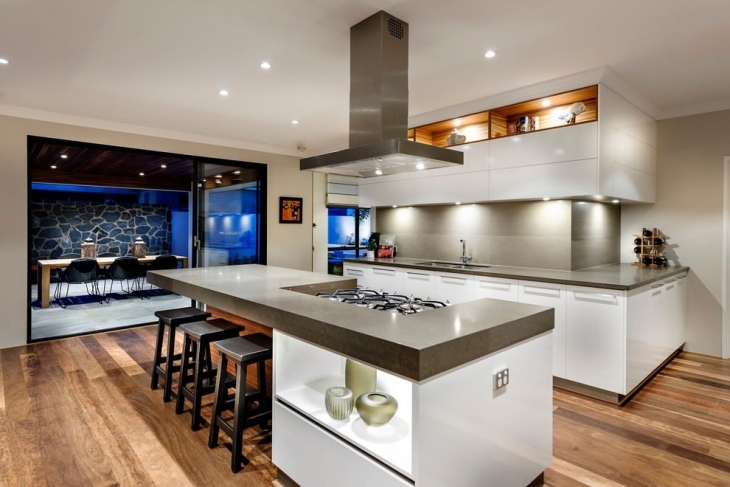 Since your spacious kitchen has many aspects and uses, you can use varied degrees of lighting for different spaces. 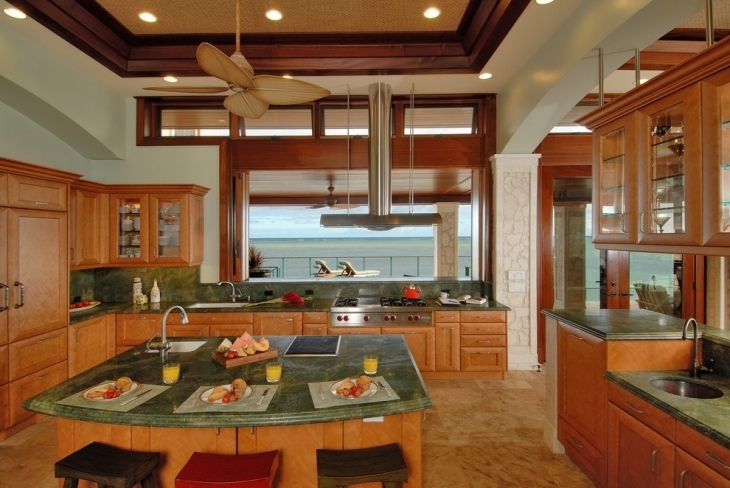 For general lighting, you can use ceiling fixtures, while focused places could be illuminated with concealed or task lighting. 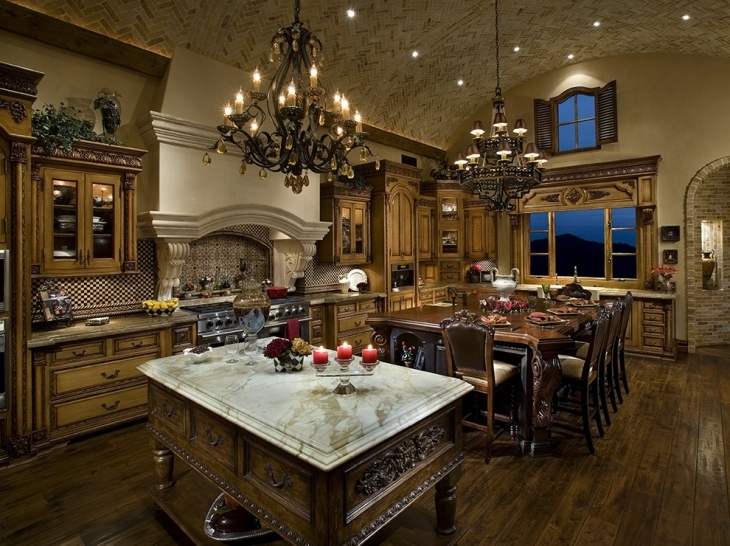 You may not really need an opulent chandelier if you have a formal dining room, but if you do install one, it will not do your swanky kitchen any harm.